A self-identified “biohacker,” Dave is always searching for ways to improve his health and fitness. He doesn't just want to live the healthiest life possible, he needs to. 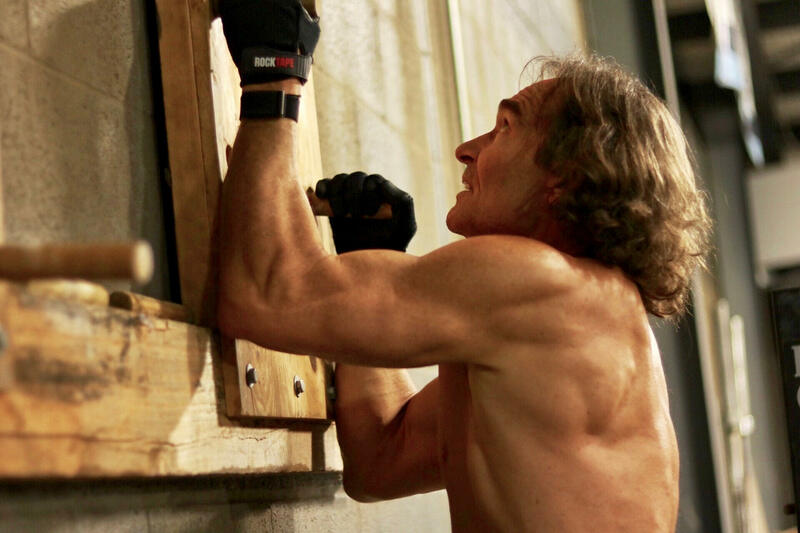 Staying competitive in his Masters Division of CrossFit is no joke. He often competes against men three years younger than him, and at his age, it's the equivalent of a teenager versus an adult. So, for Dave, everything has to be dialed in and as the years go by, he leaves no stone left unturned. He carefully coordinates his lifestyle habits, nutrition, recovery, and training to set himself up for success every year coming into the Games. Dave owes his success to a constant pursuit of overall health and always looking for an edge over the competition. Acknowledging the aging process, he knows he needs to pay even more attention to recovery as he gets older, making it his number one priority. This year at the Games, Dave made sure his recovery began right after the clock stopped at each event. It's also no coincidence that his weekly training schedule mirrored that of the Games schedule almost perfectly, providing his body a sense of familiarity with the workload. Dave’s job of running two full-time dental practices (oh, did we forget to mention that?) forces him to train five days in a row, followed by two rest days. His post-workout nutrition is just as important as his training, and it's highlighted by his consumption of fruit after each event to keep him properly hydrated and his electrolytes optimized. On the subject of nutrition, Dave said he kept it simple, not changing anything that he hasn’t been doing all year. He starts each day with a hearty breakfast such as steak, avocado, spinach and his InsideTracker staple, oatmeal. In Dave’s pursuit of health and his drive to gain an advantage over his competition, it’s not hard to connect the dots and see why he sought the help of InsideTracker. On the recommendation of his coach, Dan Delomba of Ben Bergeron’s CompTrain program, Dave had his blood tested to get an inside look as to how his body was reacting to his training, recovery, and nutrition. With the initial goal of increasing his performance for the 2018 CrossFit Games season, Dave soon realized the greater, long-lasting benefits of using InsideTracker. By tracking your biomarkers over time, you can fine-tune your health and wellness to setup your body and mind for success and create the fittest version of yourself, even if you’re not officially crowned the title. By following InsideTracker’s recommendations, Dave got his InnerAge down to 44, almost 20 years younger than his chronological age of 62. And if that isn’t proof enough, just look at Dave’s biomarkers right after his week in Madison at the CrossFit Games. It wouldn't have been surprising to see high levels of inflammation and indications of muscle breakdown, but Dave has optimized his health to the point where even after a hard five day competition, his creatine kinase was optimized, hsCRP was right where it should be, and the only sign that he wasn’t just a spectator this year was a slight elevation in his ALT levels. InsideTracker’s InnerAge is a unique tool that looks at your biomarkers, ties to them to the latest in anti-aging science. From there, we give you an inside look at your body's biological age and compare it to your chronological age. Specifically, we look at five biomarkers our scientists have identified to be strongly correlated with aging and show you proven ways to improve them through nutrition and lifestyle interventions. Glucose: chosen based on a number of studies that showed that lower glucose levels are correlated with longer lifespan. Vitamin D: Research shows people with Vitamin D levels in the optimal range had longer longevity than those with levels outside the optimal ranges. hsCRP: in a study with over 90,000 people, findings indicate that lower CRP levels are associated with higher longevity. Testosterone: blood data shows clear decreases in testosterone with age. ALT: a decade long study found that lower ALT levels at the beginning of the study led to decreased relative risk of mortality by the end of the study. Dave Hippensteel’s lifestyle truly is proof that age is just a number and in his case, one that seems to be getting lower! In using InsideTracker, Dave has found his path to optimize his body and overall wellness, and in his words, this is only the beginning. When asked how many more titles of "Fittest on Earth" he’s aiming for, Dave just nodded and smiled. I guess there’s no end in sight.